At Symphony Manor, we have created a comfortable and home-like neighborhood with everything you need at your fingertips! We want you to be at ease here at Symphony Manor. 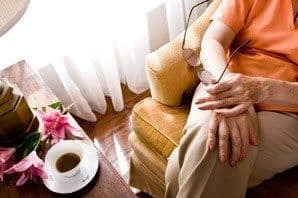 That's why we offer a myriad of services and amenities to give you not only the best comforts of home - but complete peace of mind, knowing that you have the highest levels of senior care at your fingertips. "There's a wide variety of activities, we're treated well, and everything is kept really nice and clean thanks to the maintenance committee."